Looking for a weekend getaway that’s not too far away and doesn’t require a car? 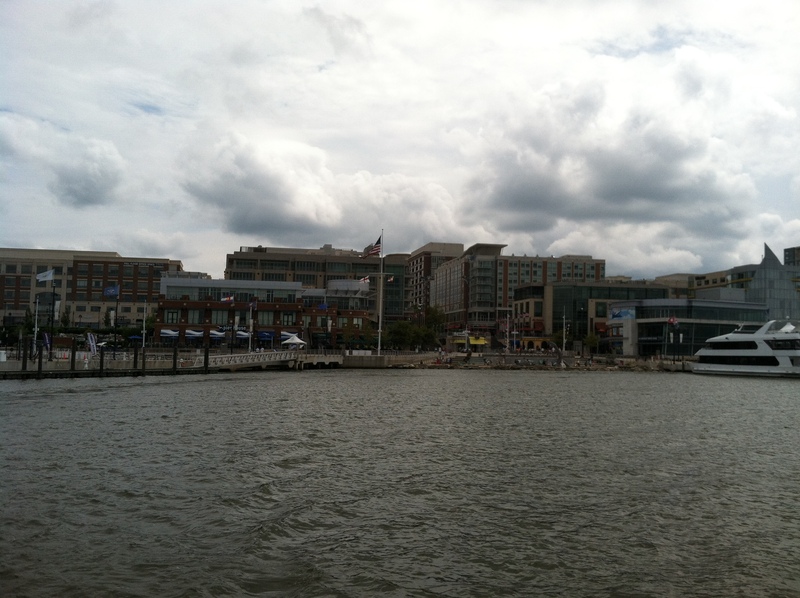 Look no further than Maryland’s National Harbor, which is tucked into the eastern shore of the Potomac River across from Alexandria, Viriginia. 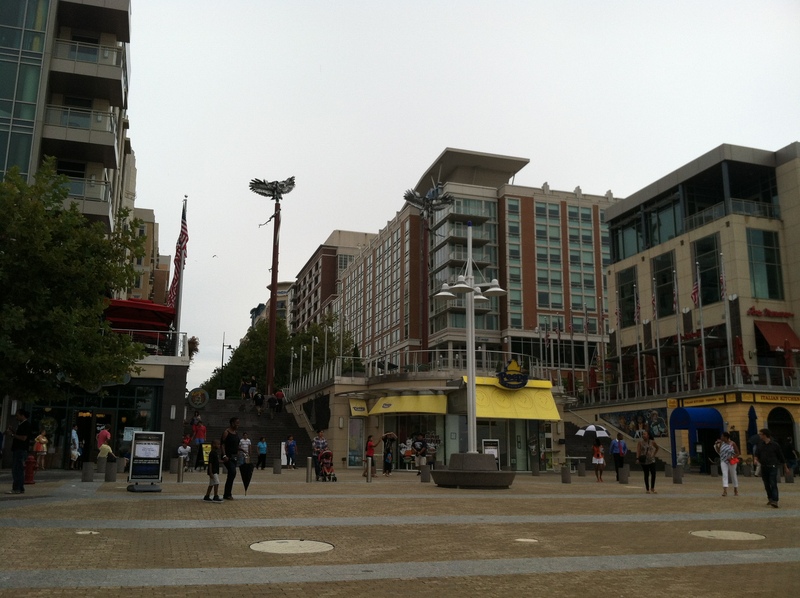 National Harbor is a conglomerate of permanent condo residences, hotels, restaurants, shops, and conference centers. 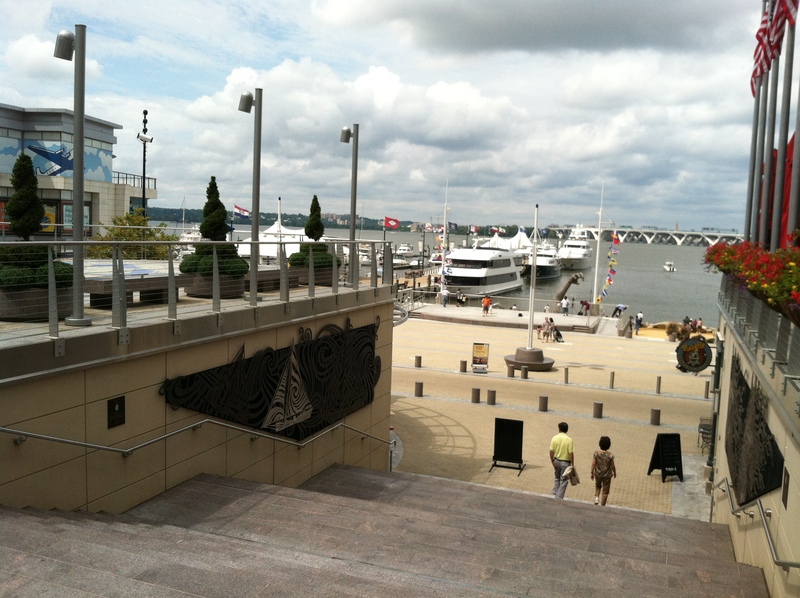 One of its main economic hubs is the $870 million Gaylord National Resort and Convention Center, a sprawling conference hub that plays host to dozens of large events every year. There’s nothing particularly distinctive about the businesses in the area, but its novelty and walkability nevertheless makes it a great getaway for a night. There are also plenty of events that draw tourists and locals in, from Cirque du Soleil performances to running races to beer festivals (check the event schedule, and I’d suggest planning around one since just dining/shopping at the chain stores may get a bit dull). A small marina caters to the boaters. The harbor and its surrounding amenities are a recently-conceived idea (begun only in 2007), and its construction is not yet complete. In the future, look for the National Children’s Museum, more restaurants and shops, and potentially even a casino, depending on how a local real estate battle plays out. The Washington Post offers a tentative endorsement of the area, noting that it’s not a neighborhood in the conventional sense, and yet nearly feels like one since so many of its visitors are locals from the surrounding counties and cities. Getting there is half the fun, and I will say I got quite the thrill from landing somewhere so close that felt so far without a car. There are two options for transit sans automobile—the first is the NH1 bus from the Branch Avenue metro stop, which takes about 20 minutes and drops you right in the center of town. The second is a water taxi from Alexandria, a journey across the river which lasts about 20 minutes (look for ospreys along the way). A one-way ticket on the water taxi is $8, and they run every hour or so (check the schedule here). On my visit we took the bus there, and the water taxi back, which saved us money but also allowed for both experiences. 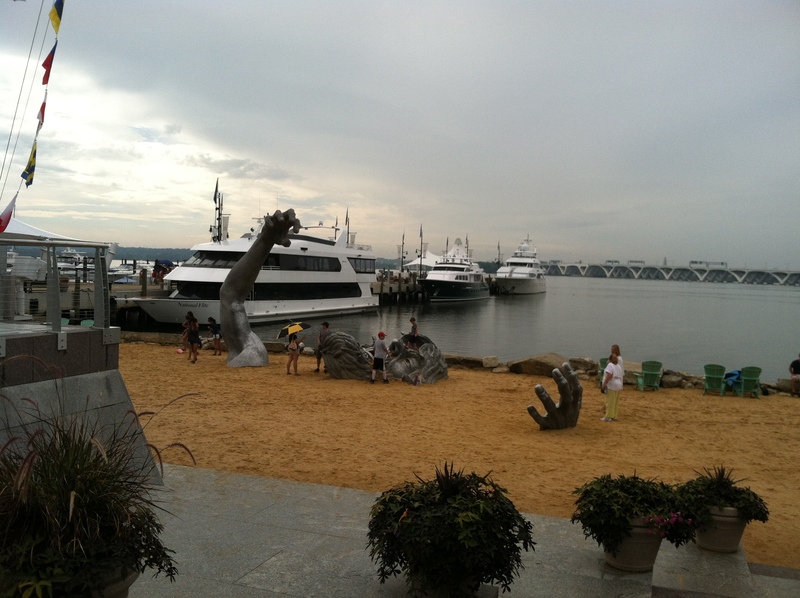 In short, the National Harbor is a worth seeing and a perfect spot for a night of fun, providing the opportunity to get away while not ever really leaving our metro area at all. 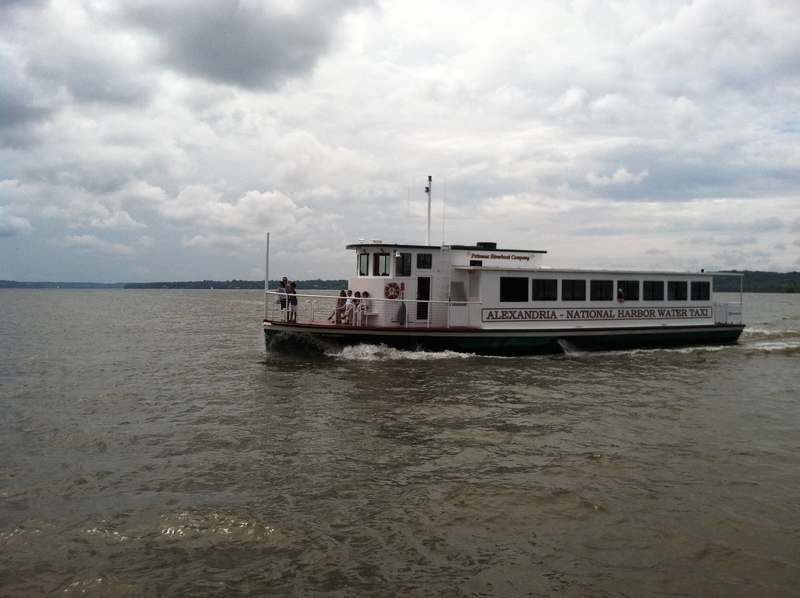 To get there: NH1 bus from Branch Avenue metro, or water taxi from Alexandria. Many options for sleeping, eating, and playing.